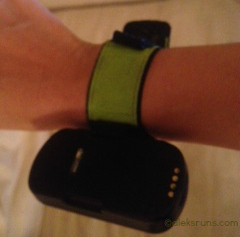 I’m talking about GPS tracking devices. Because, honestly, I have just had it with ’em smartphones. My iPhone first broke nearly two weeks ago, while we were on vacation – and while there are three Apple stores in Honolulu (??? ), none is to be found on Maui. 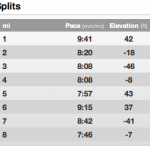 HusbandRuns’ Android device acted as replacement RunKeeper operator on my runs — and got on my nerves. Maybe because I’m not used to the operating system, but maybe also because the phone’s GPS just isn’t all that good. Why else would it not be able to grab a signal in the dark, for 10 miles? Spare parts arrived and HusbandRuns fixed my phone yesterday. (I know, he can do that sort of stuff!) But then it broke again. Then he fixed it again. Then it broke again. I got it (the 201 model , as you can see in the photo) in 2003 and used it for four long, faithful years. Other than that, the thing works perfectly. 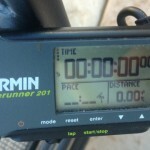 I remember using it a few times between 2008 and 2010, then tossing it aside the minute I started using RunKeeper on my phone. Meanwhile, HusbandRuns fixed my phone (again), so technically, I double-GPSed. 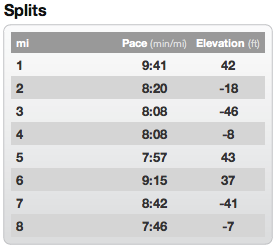 It was fun, looking up one arm to see what RunKeeper says, then the other to check the Garmin. So the question is: do they make ’em Garmins like that still? Because the iPhones certainly seem to be more fragile. 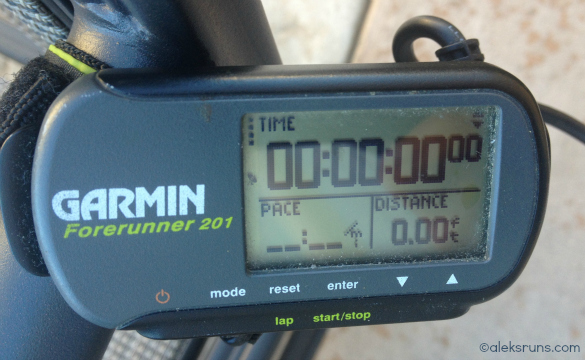 This Garmin makes perfectly correct GPS readings. My phone doesn’t… always. This Garmin can work just fine – and for free! – if I travel abroad. My phone certainly won’t. And so what if I need to use a hairband to secure it to my wrist? 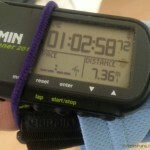 And here’s the one big drawback to the Garmin of ol’ yonder: I don’t remember how to transfer my data on the computer? Put it on the Interwebs? Is there even a way to crunch the data and get handy charts and progress reports? It doesn’t seem to have a hole anywhere for me to plug in a USB cable, so then how? Oh well, there is good in progress, after all.